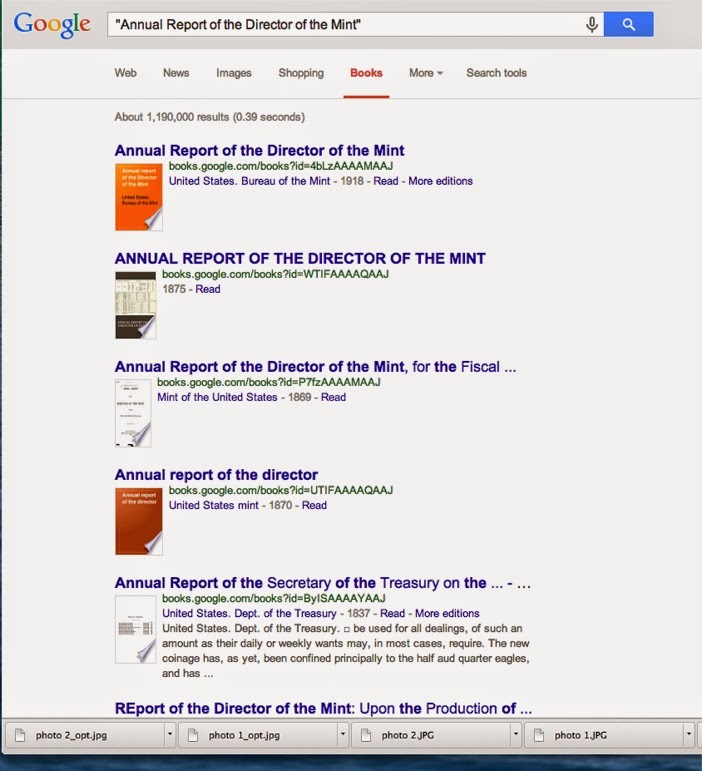 I stumbled across Congressional Records related to the Mint while searching Google books for something entirely unrelated and immediately realized that there is a wealth of information there that was not previously so easily available to the average collector. 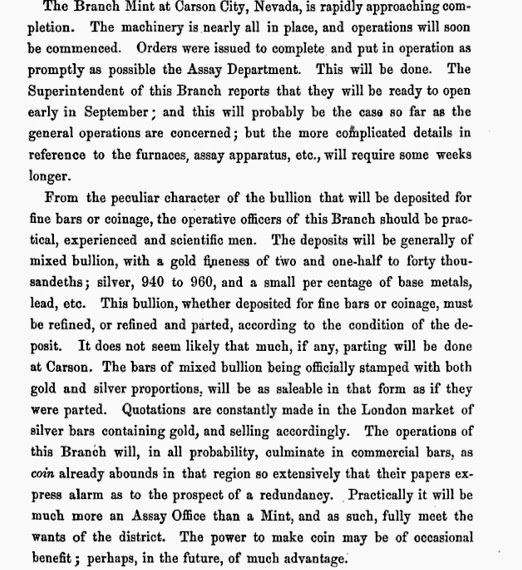 For example, here is the Annual Report of the Director of the Mint, for the "Fiscal Year Ending June 30th, 1869". Among other things, Director James Pollock comments on resuming specie payments, on the dismal progress of building a new San Francisco Mint and also on the not yet operational Carson City Mint. As you can see here, he didn't expect any coins to be minted there. However, coins obviously were minted, starting in 1870 with Seated Liberty dollars. In spite of Pollock's opinions, specie payment (redeeming paper money for gold or silver) was not resumed until 1879.